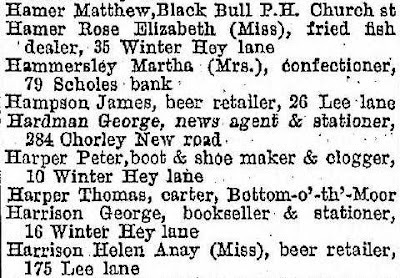 The Craven Heifer was situated on the corner of Lee Lane and Winter Hey Lane (previously known as Dog Lane, as it ran down to the Black Dog Hotel (aka Greyhound). 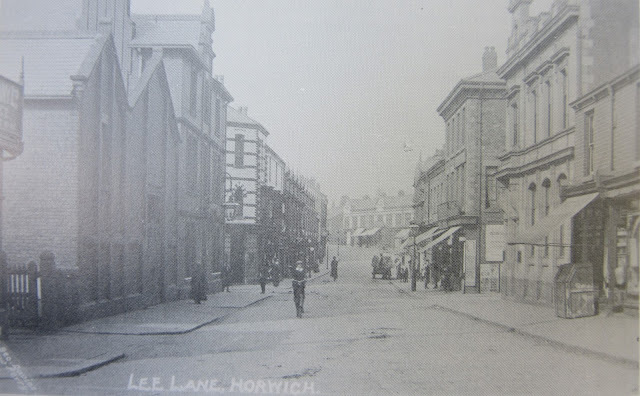 It was built in the early 1800s and was originally a tavern but was later redeveloped in the late 1800s into a hotel. 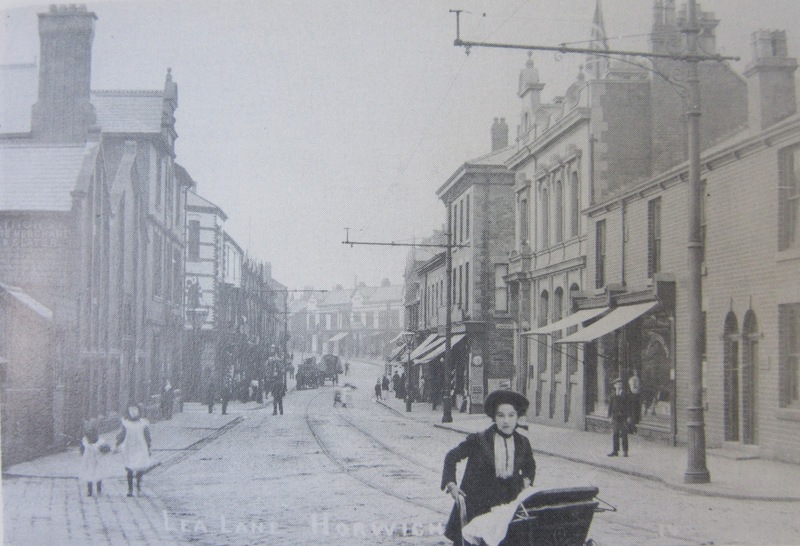 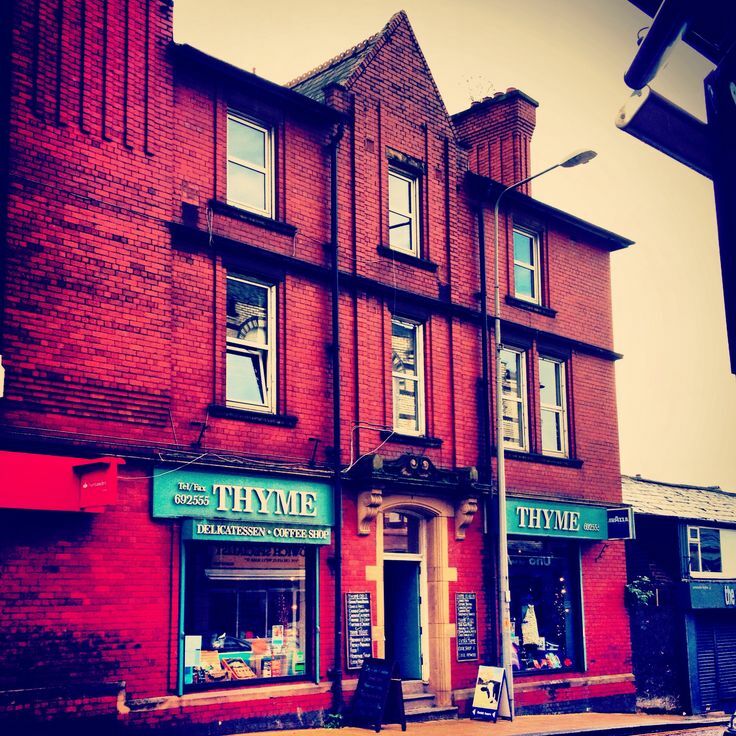 Listed landlords at the pub were Evan Makinson (1836-41), Thomas Harrison (1851-74), John Harrison (1875-), Amy Pass (1881), Walter White (1895), James Hampson (1901-11), Mrs. Hocking (1918) and Francis Joseph Parker (1924). 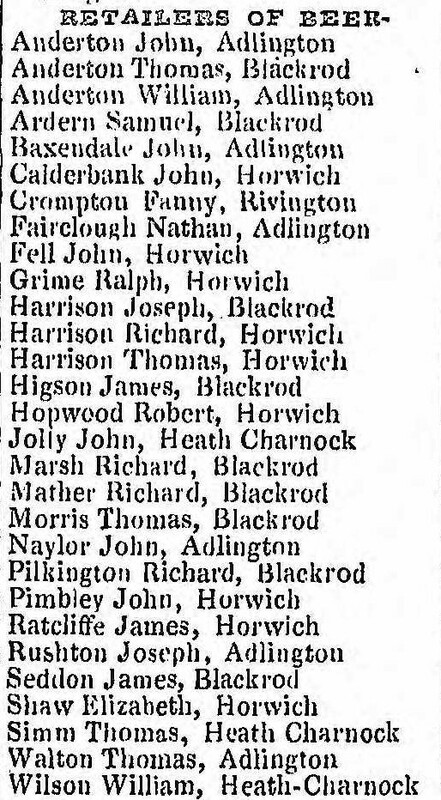 The 1841 census transcription for Evan Makinson and his family below confirm their address in an area known as Pearl Brook in Horwich. 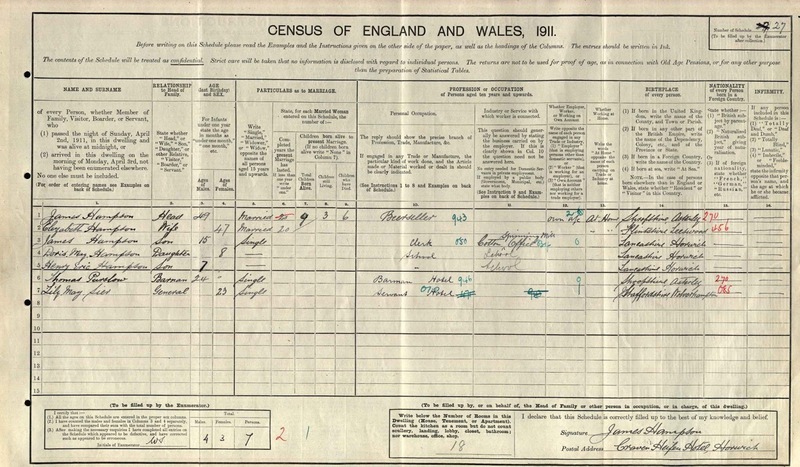 The 1845 map above shows the proximity of the brook to Winter Hey Lane where the Craven Heifer was located. Evan is recorded as a "clogger" on the census, which was probably his main occupation but I would suspect the family were also running the premises as a beer house at that time. The publican in 1851 was Thomas Harrison, a stone mason, who probably built the houses in nearby Harrison Street; at the rear of the Craven Heifer stood the Co-operative Society. 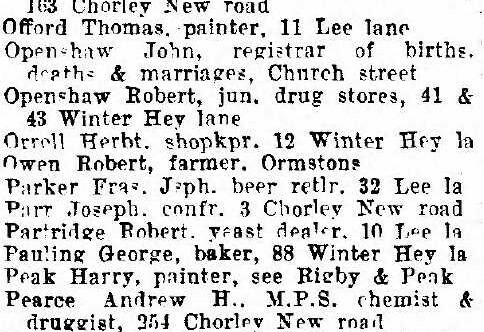 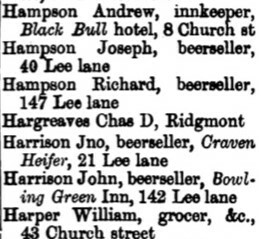 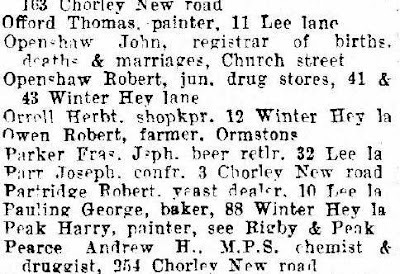 The Post Office directory above shows how influential the Harrison and Hampson families were in the beer trade during this period. The building was renovated/rebuilt in 1886 to the design we see today but finally closed for business in the 1960s and is now occupied by various shops, a café and a bar although the name lives on both in the naming of the building, "Craven House" and the hotel sign, which prevails above the ground floor shops.